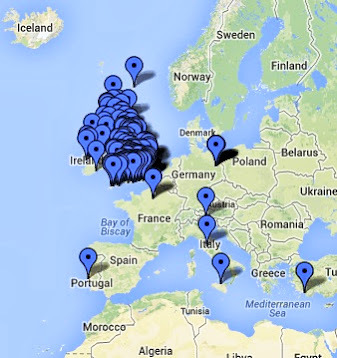 How was your bank holiday? 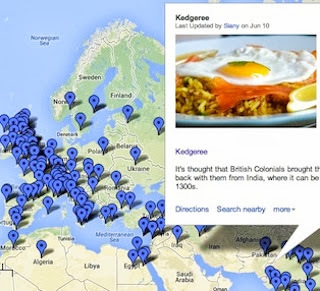 What did you get up to? I went to see the Barbican's magnificent Jean Paul Gaultier show. Admittedly, I don't really need much encouragement but, after marvelling at his way with a stripe, I've been scouring the shops for some new shipshape stripes of my own (well, Zara doesn't do much in the way of conical bras). Like florals, stripes are a spring/summer classic, repeated every year but, somehow, still manage to look fresh. Here are some of 2014's finest stripes. The crisp combination of blue and white is always a winner. It's made all the more charming on People Tree's Freya Breton top with the addition of some cute buttons. This is £42. 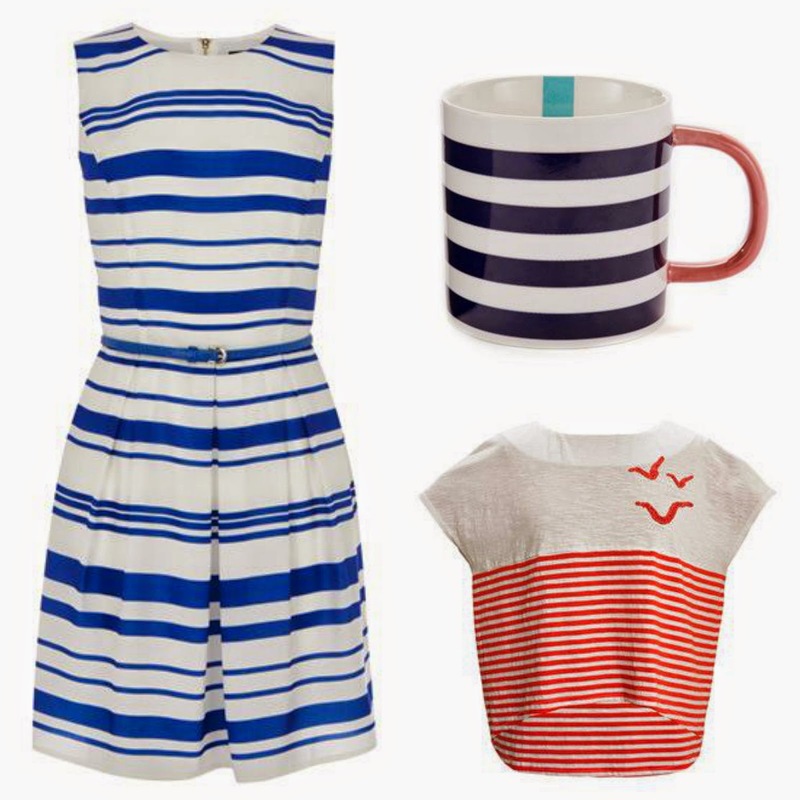 The French are forever associated with the delights of a stripy top and Petit Bateau has a fine heritage in making them. 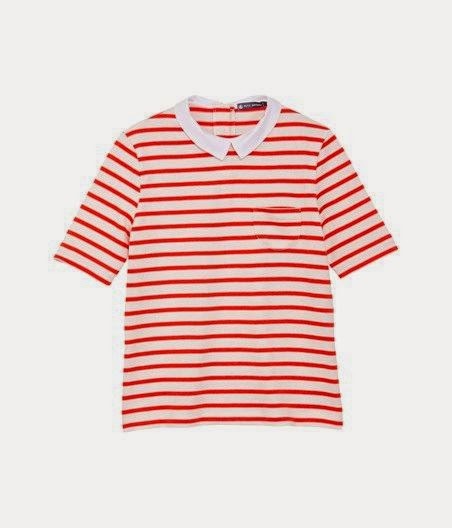 Their designs aren't just for children: this collared breton strip top, for example, is definitely for grown-ups. 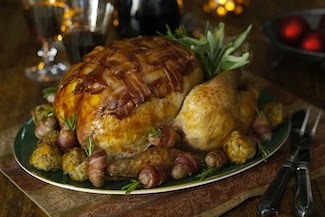 You do pay a price for their expertise however: the top is priced at £84. 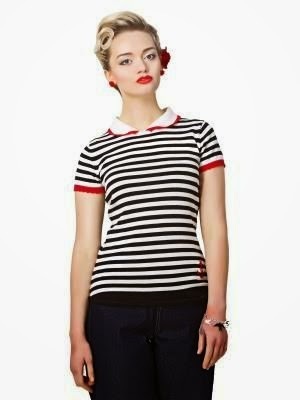 Collectif admirably play up on the pin-up appeal of some well-fitting stripes. 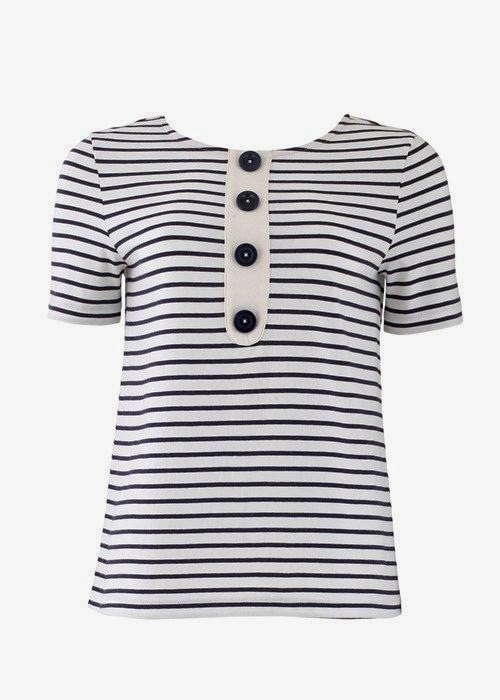 Their Adora knitted top is £34, and even comes with an anchor motif, just in case you've somehow failed to pick up on the nautical association. 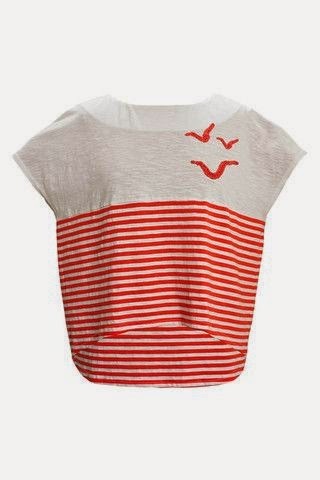 That also gets highlighted with Lowie's slouchy seagull T-shirt - perfect for easy holiday days. It's £44, and is also available in blue. I'm loving the drapery going on in Phase Eight's Debbie striped top. 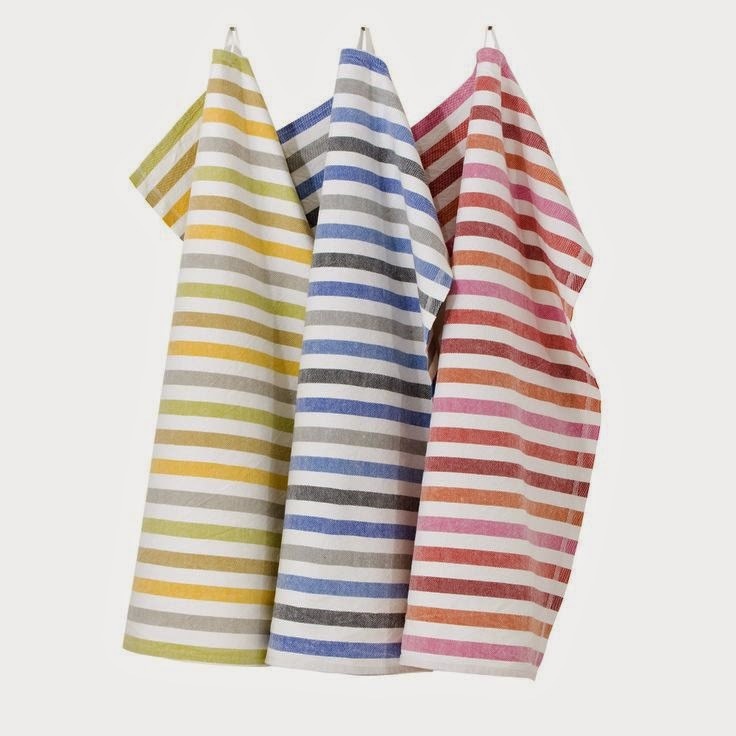 One for you if you are horizontal stripes-phobic (although I heartily encourage you to ignore such silly fashion 'rules' as much as you can). 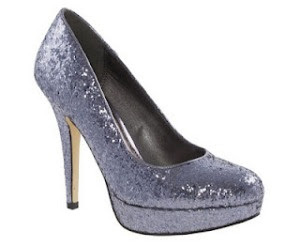 It's £39 from House of Fraser. 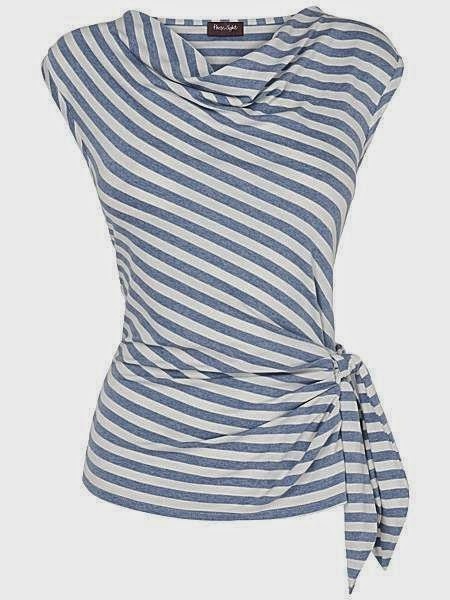 Zara, meanwhile, gives the look a twist with their pretty striped tie-sleeve top. I can almost guarantee you'll get your £39.99's worth of wear out of it. 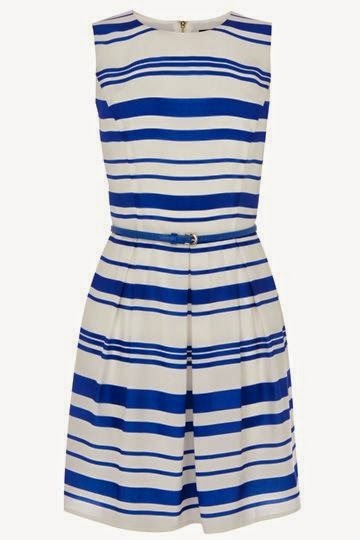 Stripes also make for brilliant casual dresses. 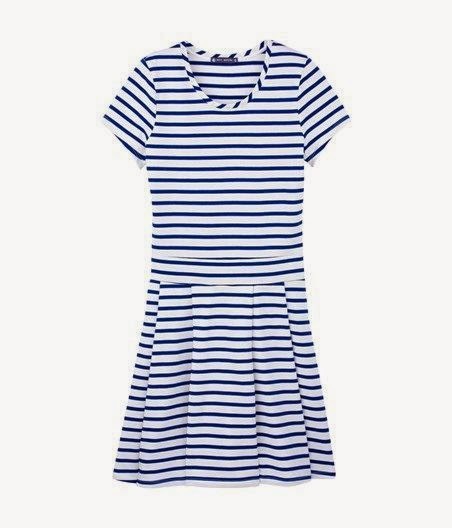 This Petit Bateau striped Breton dress has got something of a 1930s Riviera feel about it (NB would also look great in Clacton or Cleethorpes). It's £93 and is also available in green, yellow or orange stripes, should you want to rebel from the traditional blue and white palette. 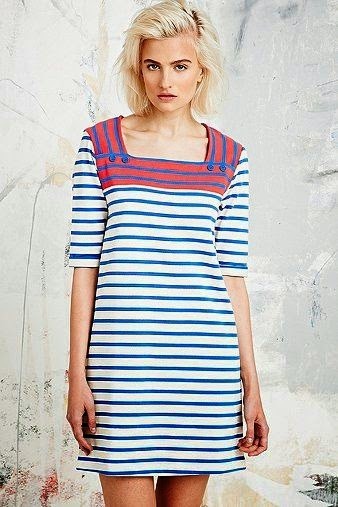 This BDG Breton stripe dress is the embodiment of throw-on easiness. 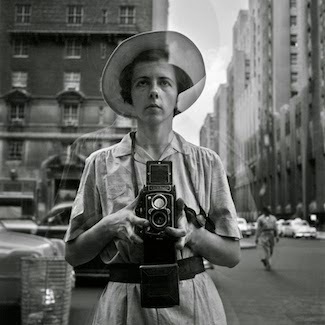 And how I do love a square collar. It's £45 from Urban Outfitters. For something a little more tailored, this striped skater dress will keep you looking chic, whether your holiday plans consist of boarding your private yacht or merely hiring a pedalo in the park. At £45 from Oasis, it's appropriate for us on pedalo-sized budgets too. 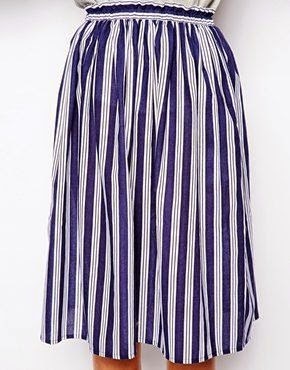 Stripes look mighty fine on a full skirt. 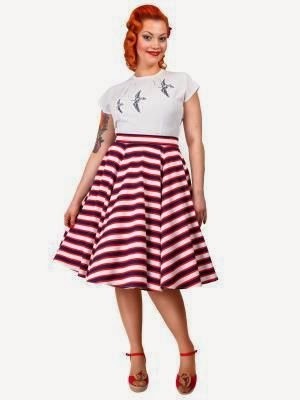 Imagine the fun you could have swooshing around in this Helena striped skirt. 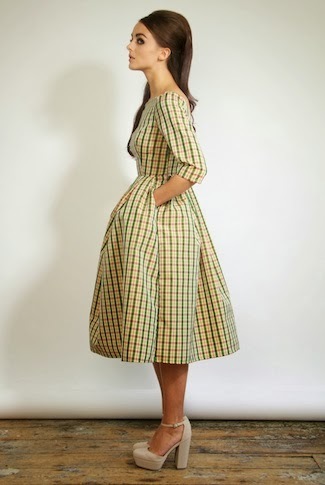 Well worth the £49.50 from Collectif. This midi stripe skirt looks like it'll be perfect for pottering around in too. 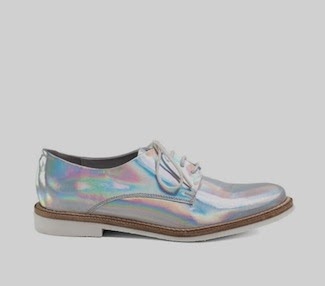 And it's on sale, currently £27 from ASOS. But it's hard to beat the smartness of a well-fitted pair of trousers, especially trousers with added stripes. These Zara trousers are definitely worth trying on in the flesh: they're well worth their £29.99 price tag if they fit you properly. 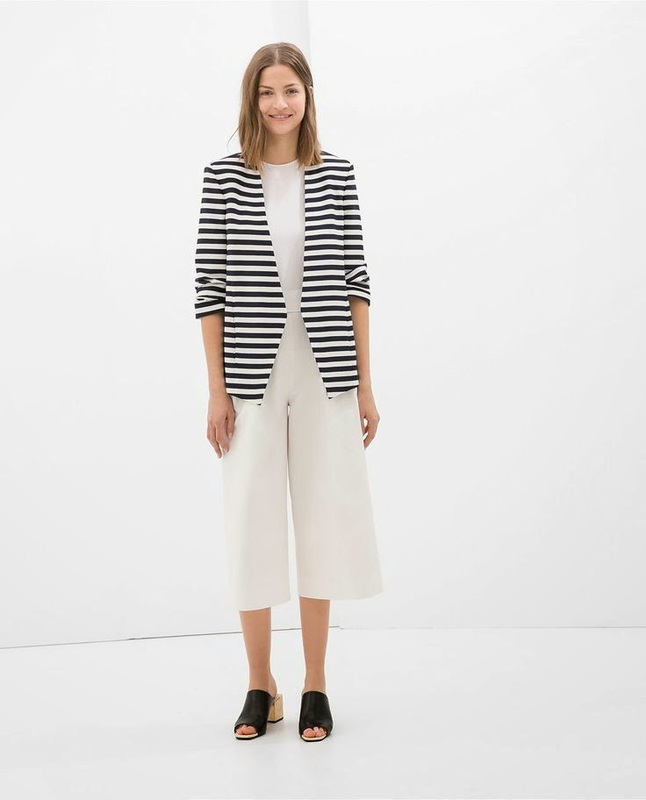 While we're on the smarter side of nautical stripes, check out Zara's striped blazer (I can't decide whether wearing it with the trousers would be a brilliant, or a very stupid idea). It's £79.99. There's also a handful of Anthropologie's Winona blazer left in stock, reduced to a bargain £40.95. I've also found the best stripy accessories, whether rain or shine. I've been wearing my new Le Specs sunglasses from Roo's Beach at the slightest hint of sunshine. 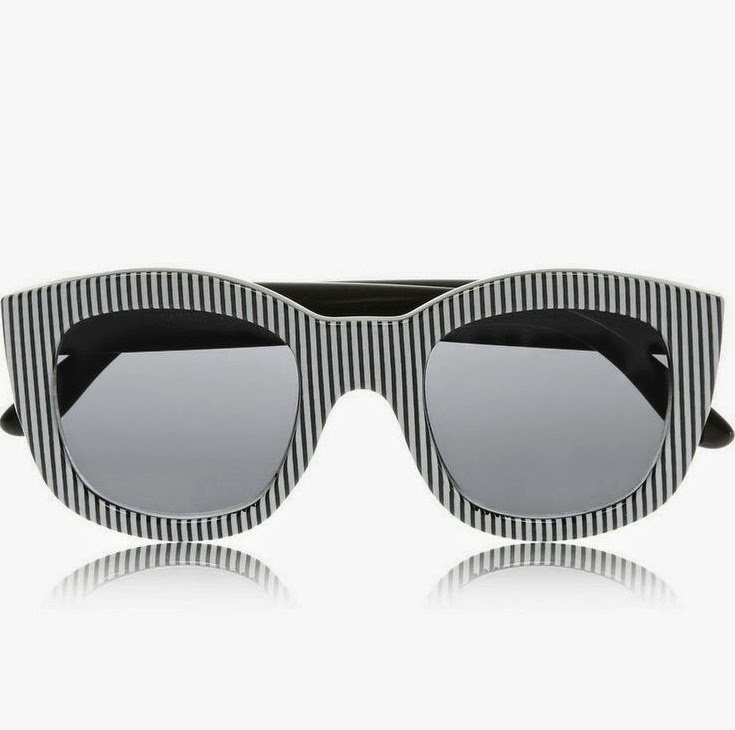 I'm tempted to also splash out on the brand's wonderful striped frame glasses for £35. 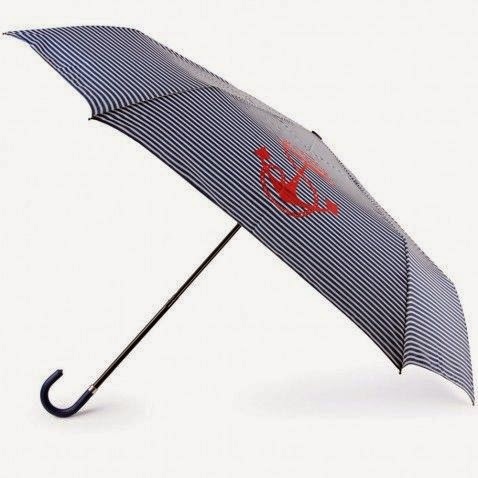 For the rain bit, Paperchase have got it covered with their Anchors Away umbrella, £15. 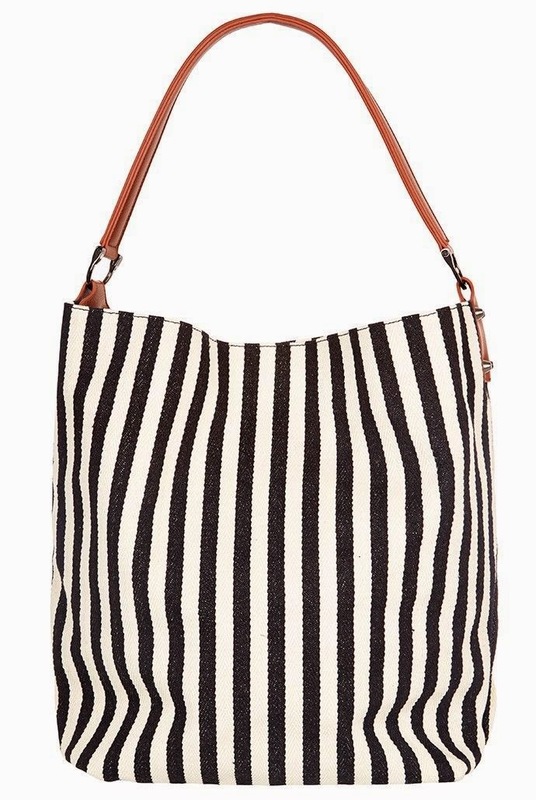 And for carrying around all your stripy bits and pieces, look no further than Louche's Clapham shoulder bag, which is £39. For the ultimate in matching accessories, it's also worth noting that &Other Stories' fab striped flats are still in stock. If you haven't already picked out your new swimwear, this Havana swimsuit is a great option with added retro appeal. It's £28 from ASOS. 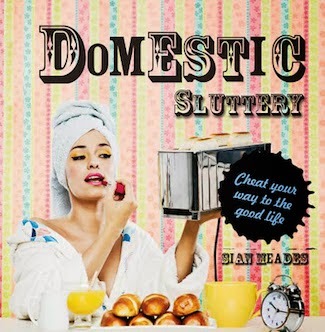 There's no need for your homewares to miss out! 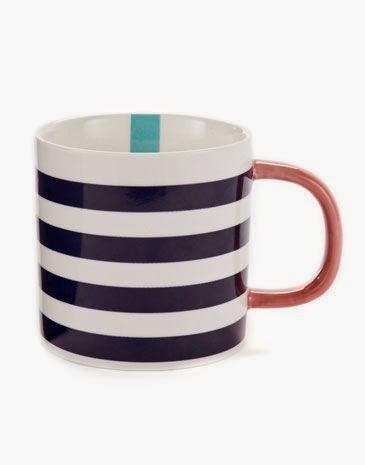 You can have a nautical and nice cup of tea each morning, no matter what mess your kitchen is in, using this stripe mug from Joules. It's £8.95. 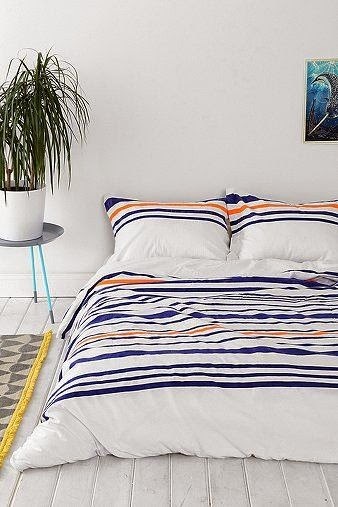 Stripes look right on bedding too, especially in the smart cotton contrast of Urban Outfitters' duvet cover. A double is £70. 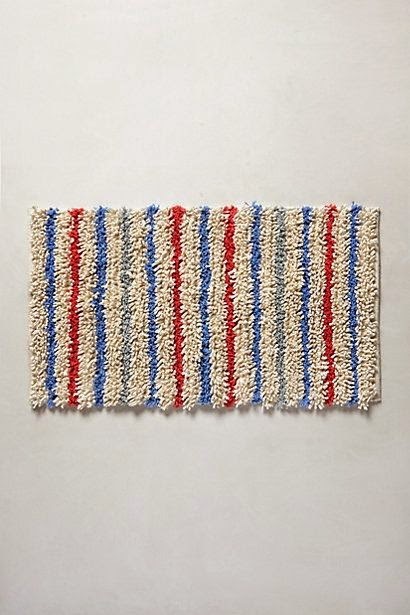 ... while Anthropologie's jersey stripe bathmat, is surely the ideal thing for all us land-lubbers who enjoy a bit of splashing about. This post has made my eyes go all funny. I want the mug. And the glasses. And also the brolly. I wear a lot of florals, I want stripes to clash with them. It's not a post to scroll through quickly when you have a headache! 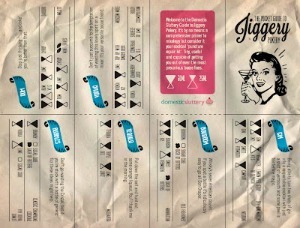 I am powerless in front of any form of stripe. Especially on sunglasses. My wardrobe is much the same, and yet there always seems to be space for one more!